Vekic 1-1-25613-21: Buy Tamaris Boots online! This overknee boot is an all-rounder: Its beautiful and matt surface, made of genuine leather, makes it a stylish companion for everyday life. The close-fitting cut accentuates the ankles and stretches the leg visually. The zipper on the side makes it easier to put on the shoe, perfect for busy days. The perforated sole of the shoe withstands wind, weather and uneven roads. 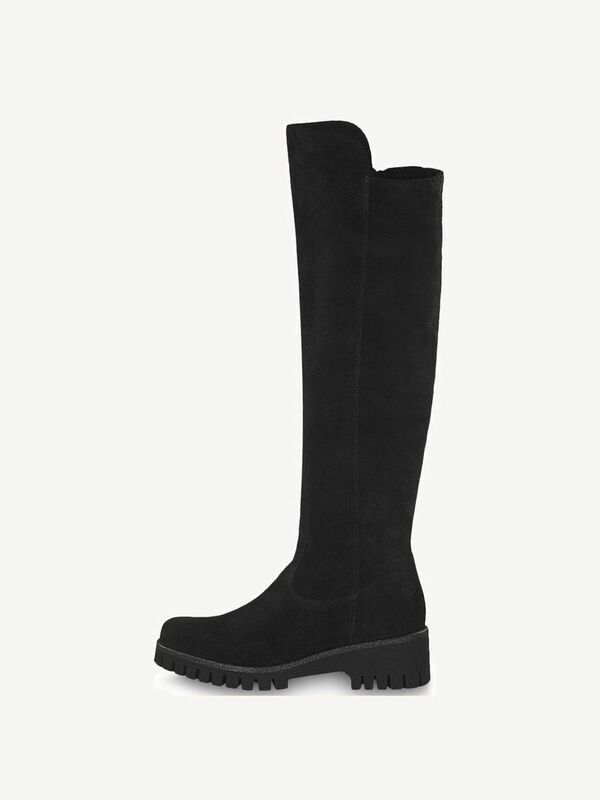 This overknee boot is the perfect companion for cold days or chilly evenings.